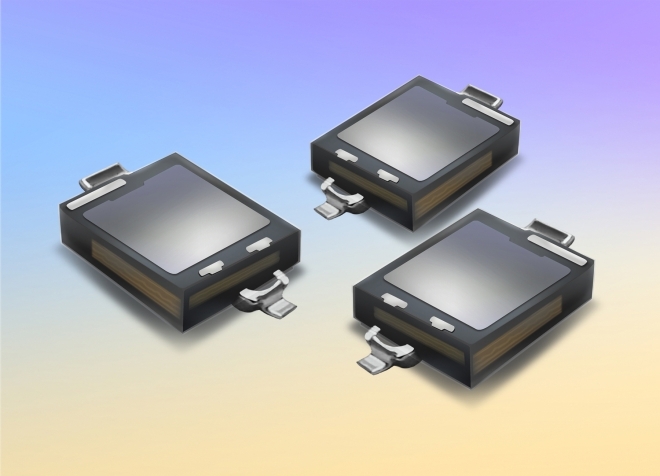 July 23, 2012 – Newbury Park, CA – Opto Diode, a division of ITW, and a member of the ITW Photonics Group, announces the second in the series of surface mount photodiodes, the ODD-900-002. With high sensitivity and short switching time, the low capacitance photodiode is ideal for use in a variety of medical diagnostic applications. The surface-mount packaging allows for easy and convenient integration into new or existing systems. The device operates in the spectral bandwidth from 400 (min.) to 1100 (max.) nm, with a peak sensitivity of 940 nm. Typical responsivity is at 0.44 A/W with typical reverse dark current at 5 nA and total capacitance, typically at 25 pF. Robust and flexible, the ODD-900-002 operating temperatures range from -25 degrees C to +85 degrees C. The device can be stored at temperatures ranging from -40 degrees C to +85 degrees C for added convenience. Similar to the recently introduced ODD-900-001 Surface Mount Photodiode with Daylight Filter, the new ODD-900-002 photodiode’s power dissipation is 150mW at (or below) 25 degrees C (free air temperature). Both new devices also feature a soldering temperature of 260 degrees C (soldering time is 5 seconds, maximum).